twice a month! The mini-clinics are geared towards active and former injection drug users as well as their families and friends. Services offered at the mini clinic include HIV, HEP C, and STI testing, Narcan training & dristibution, harm reduction supplies, and connections to services. 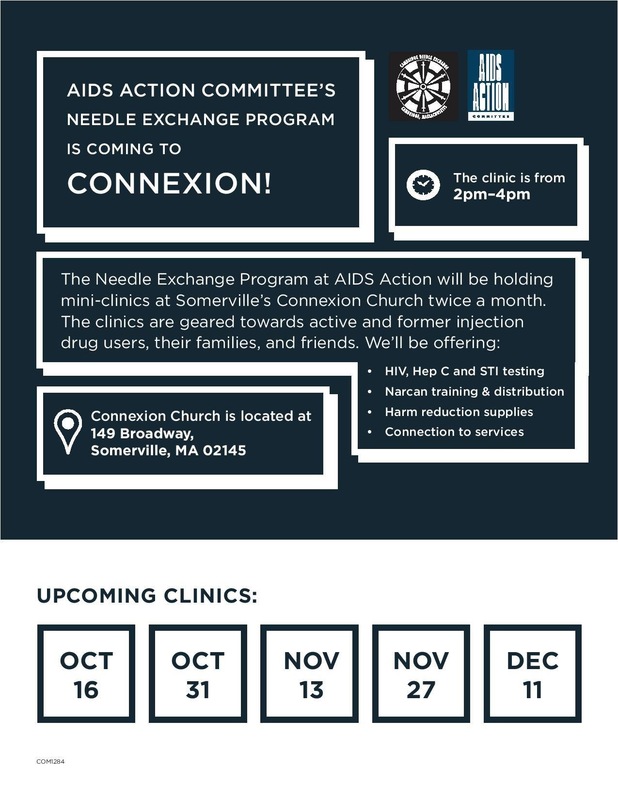 Somerville is very luck to have such a great resources right here in our own community, but this is also a great resource for anybody, anywhere who may be at risk. Please spread the word to your friends and family in surrounding towns. If you yourself have a friend or family member who is actively using please drop into one of these mini clinics. These clinics can and will save lives. We have attached a flyer with all of the details that you need for the next few months of mini-clinic. Please consider sharing this flyer through email and social media. We really appreciate it.